because of their aesthetic appeal. 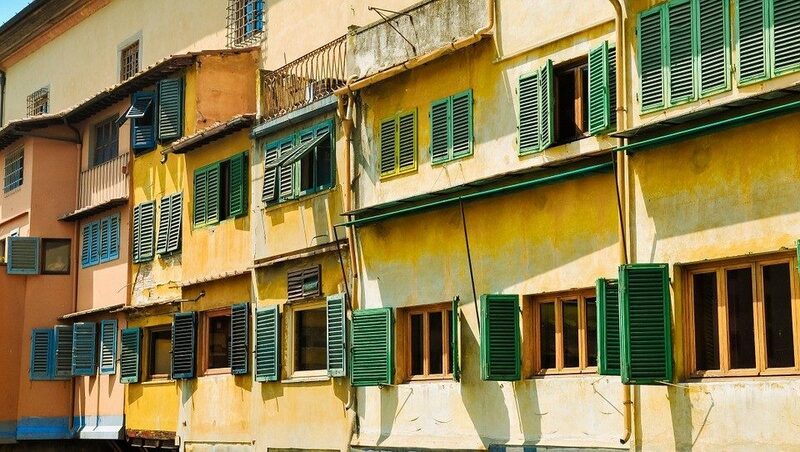 In fact, shutters are actually one of the earliest forms of air conditioning- a particularly important task in countries as hot as Italy. It is thought that shutters originated from Ancient Greece, where they were incredibly popular due to their ability to control light, reduce heat and provide ventilation in such a tropical environment. Alternatively, shutters can often be used to trap warmth inside a room when they are closed. The majority of shutters are made from wood which is a natural insulator, and this can make them an effective method of temperature control. Learn more about how shutters can keep your home warm here. ancient tradition can provide much- needed relief to inhabitants by providing the ventilation necessary for the day and shade from the hot sun. 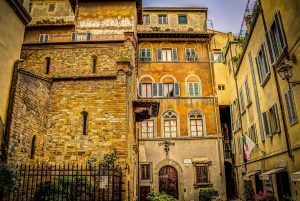 Shutters might fit in with the traditional feel of an Italian city, but this isn’t the main reason why many Italian’s choose to have them in their homes. Shutters are one of the main ways that people in hotter climates can reduce their energy bills, as significant savings can be achieved on air conditioning and heating. This can make them a fantastic long term investment, as well as an excellent option for people who are wanting to reduce their carbon footprint. If you want to add a touch of Italy to your home, then why not browse our excellent range of External Shutters for a fantastic selection of traditional and contemporary designs. Alternatively, contact a member of our friendly and knowledgeable team for more information on whether shutters are the right choice for your home. Previous PostKeeping Your Plantation Shutters CleanNext PostWhat is the Best Wood for Shutters?